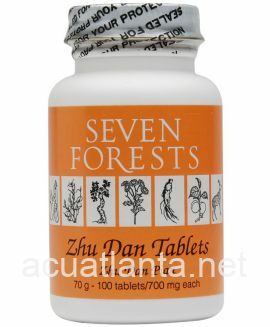 Diagnostic Tablets also known as Zuo Zhen Pian, tonifies spleen and disperses qi, moisture, and blood. 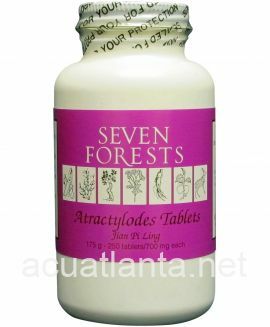 Diagnostic Tablets is recommended for those with anxiety, fatigue, swelling, and constipation. 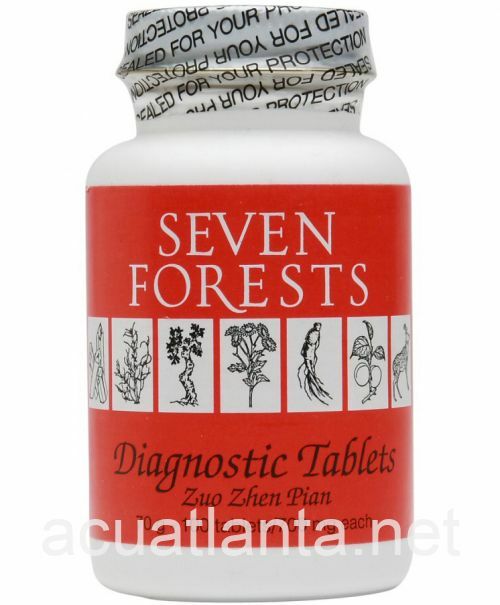 Diagnostic Tablets by Seven Forests is a Chinese herbal formula used to disperse Qi, moisture, and blood. Diagnostic Tablets product is available only from licensed healthcare professionals. 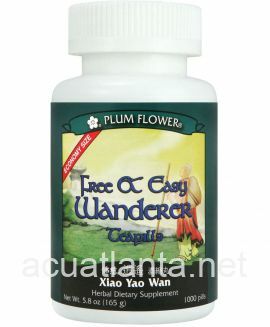 Buy Diagnostic Tablets Online here at AcuAtlanta.net or our clinic. I love this product. 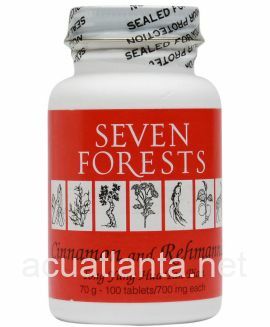 I use it as directed by my nutritionist. The results are great. 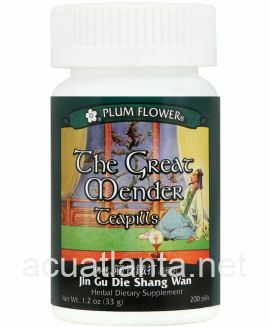 It just keeps my digestion on track and helps w/ weight management. I have taken it for the last 6 months and will continue to in the future. I have had no side effects. 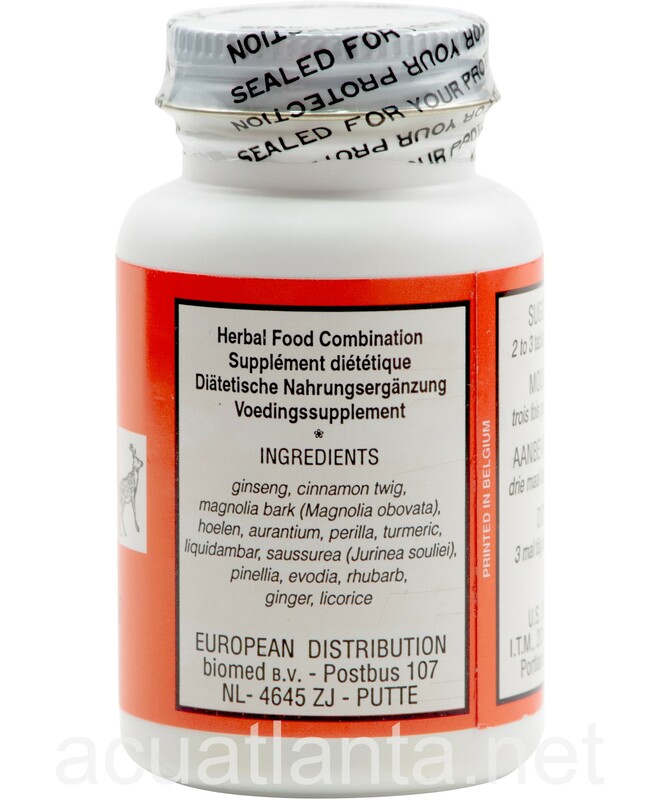 This Herb is a miracle for me. I'm prone to migraines and phlegm in my chest and the back of my throat. I was without them for a month and wow, it became hard to function without them, as my migraines and chest congestion returned. 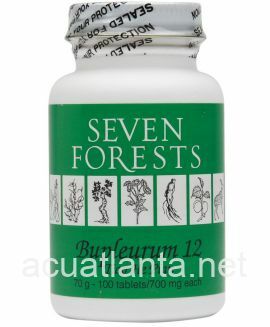 It does take about a month for me to recover from not having them, but I was so relieved to have been able to find them through Acupuncture Atlanta after my acupuncturist had told me that they were not being made anymore. Now if I could only find something that would keep my migraines away for good. Customer who purchased Diagnostic Tablets 100 tablets online also bought the following products which may be of interest to you.